Wow thank you so much! I am having a really hard time with my very wild three-and-a-half-year-old and just today I felt like I couldn’t go on anymore and then I saw this so thank you! Thank you! Do you have the original (Hebrew) quote or source? 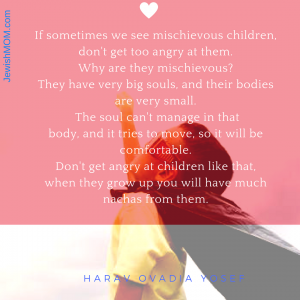 Are children really misbehaving or not fitting into the roles that we want/need them to fit into? Children need to move and explore and experiment. That is their nature. 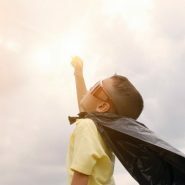 The problem is when we have unrealistic expectations of how they should be behaving or how we need them to behave so we can do all the things we need to get done. Does this apply to teenagers?